No matter the type – grease, oil, transmission fluids – oil on concrete is ugly and unsightly, and it has to go. We can handle that for you, making your driveway, sidewalk, basement floor, whatever — oil-free. We don’t recommend you go the DIY route on this one. You need professional cleaners. CoverTec manufactures professional grade cleaners, sealers, and coatings for building maintenance, protection, and waterproofing. If you’re looking for the best company to clean oil from concrete, you’re in the right place. No job is too big or too small for us to handle. We feature a line of oil stop system products to clean, seal and protect oil contaminated surfaces. The Oil Stop system is extremely effective against oil “bleedback” in contaminated concrete. CoverClean HC is a highly effective professional grade cleaning solution that uses microorganisms for deep cleaning oil from concrete, masonry and existing coating surfaces. It’s also fast-acting, non-hazardous, biodegradable, leaves no residue, and of course- it meets USDA requirements. 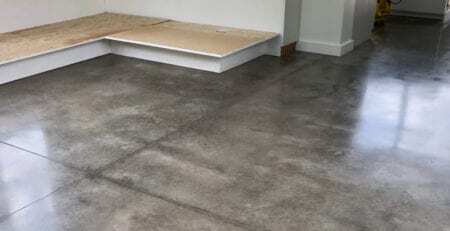 It can be used on tanks and sump pits, warehouse floors, over existing coatings, and parking decks. 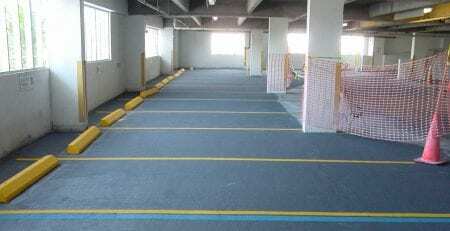 Use the system as a protective barrier for new construction or on existing surfaces such as concrete, brick pavers, natural stone, and terrazzo. We mean business! We’re based in Sunrise, of course, we cover the entire South Florida area. 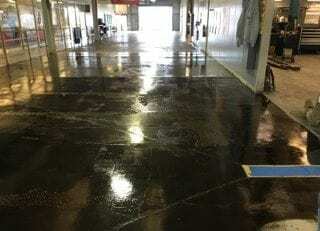 When looking for the best company to clean oil from concrete, call CoverTec at (888) 572-2586.